The retail prices of oil and petrol will be kept unchanged for the next 15 days, the ministries of Finance and Industry and Trade announced on January 16. A campaign urging local people to buy “Made-in-Viet Nam” products has helped develop businesses across the country. HCM City and Hanoi remained among the global Top 10 most dynamic growing cities in JLL’s Short-Term City Momentum Index (CMI) 2019, which tracks socio-economic and commercial real estate growth in 131 cities over a three-year period. Ha Nam authorities will always accompany and create all favourable conditions for foreign direct investment (FDI) enterprises to invest and expand production in the province, said a provincial leader. The Vietnam government has set up a new state-owned stock exchange company, Vietnam Stock Exchange (VSE), which will operate as an umbrella company for the two existing exchanges in the country. The Vietnam Register (VR) has asked its branches nationwide to increase technical safety examinations of vehicles, particularly container trucks, coaches and tractor trailers, as part of measures to improve traffic safety. Vietnam’s south central coastal province of Ninh Thuan will change the structure of nearly 1,200 hectares of crops to increase output and farmers’ income this year. It is seen as a response to climate change. The Vietnamese National Assembly (NA) stands ready to share its experience in dealing with specific topics regarding question and answer and inspection work with its Lao counterpart, NA Chairwoman Nguyen Thi Kim Ngan has said. Standard Chartered Bank has forecast that Vietnam will see a stable economic growth of 6.9 percent in 2019, buoyed by strong FDI-supported manufacturing industry. The ASEAN Tourism Forum (ATF) 2019 opened in Ha Long city, the northern province of Quang Ninh on the night of January 16. The health sector also achieved and exceeded nine out of 11 basic health indicators set out in 2018, as heard at the sector’s conference in Hanoi on January 15 to review its operations in 2018 and outline plans for 2019. 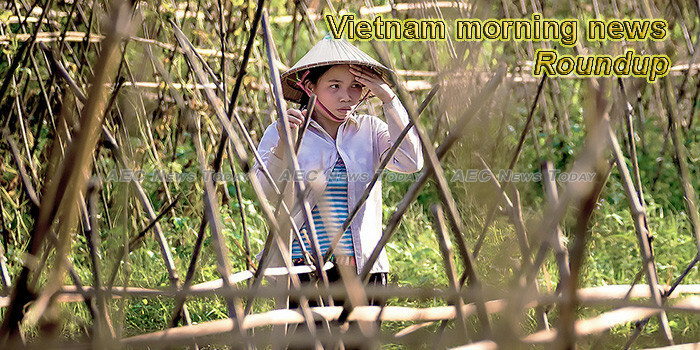 New financial sources, especially from the private sector, will help Viá»‡t Nam further develop its energy industry, according to a new World Bank report on Viá»‡t Nam’s energy development. Vietnam’s Bamboo Airways completed its long-delayed maiden commercial flight on Wednesday, heightening competition in the aviation sector of the Southeast Asian nation that is emerging as a popular tourist destination. Two-way trade between Vietnam and India experienced a year-on-year rise of 40 percent to reach 10.69 billion USD in 2018, according to statistics released by the General Department of Vietnam Customs. Bonuses for the upcoming Tet (Lunar New Year) at most companies nationwide are worth one month’s salary on average, which is around 6.3 million VND (271.68 USD), or 11.4 percent higher than 2018. Deputy Minister of Industry and Trade Tran Quoc Khanh and Vivien Life, Director for Asia and Australia Negotiations at the UK Department for International Trade, co-chaired the event. The central city of Da Nang has called for investment from Singapore to build a 33km tram line connecting the city and Há»™i An by 2025, vice chairman of the city’s People’s Committee Dang Viet Dung said in a working session with Tan Keng Hwee Seth, Executive Director of Infrastructure Asia (IA) of Singapore. Prime Minister Nguyá»…n XuÃ¢n PhÃºc has asked the Ministry of Information and Communications (MIC) to increase Viá»‡t Nam’s rankings in information and communication technology (ICT). Vietnam’s trade ministry and e-commerce giant Amazon have signed an e-commerce pact that will see Vietnamese merchants join the Amazon Global Selling network. “Vietnam has more than 700,000 businesses, 98 per cent of which are SMEs. Forest rangers in the central province of Nghá»‡ An have detained five men for allegedly killing two langurs in the province’s PÃ¹ MÃ¡t National Park. For the first time ever, Vietnamese designers have been invited to display their wares at one of the world’s ‘Big Four’ fashion weeks. The IVACFLU-S vaccines, which have been produced in Viá»‡t Nam to protect against seasonal flu such as A/H1N1, A/H3N2, and B, are now available on the market, the Institute of Vaccines and Medical Biologicals under the Ministry of Health has said. Remote Dong Thanh commune in the Mekong Delta province of Kien Giang’s An Minh disitrict has been recently recognised as a new-style rural area. Vietnam, which is in a lowly 108th place in the International Telecommunication Union’s ICT Development Index, wants to improve its status. VietNam would remain consistent in its policies regarding the South China Sea, which seek to respect international law, especially UNCLOS 1982, as well as welcome and promote initiatives for the maintenance of peace and stability in the area. A workshop was held in Hanoi on January 16 to discuss international experiences in capital management and mobilisation, and infrastructure development, as well as to seek policy recommendations for Vietnam in such fields. Bison have been snapped by camera traps set up by the Viá»‡t Nature Conservation organization in the central province of Quáº£ng BÃ¬nh. Toray Industries, Inc, a large Japanese textile and garment group, hopes to invest in a fiber plant in northern Nam Äá»‹nh Province. The parliamentary cooperation between Vietnam and Japan has become an important factor in fostering the two nations’ comprehensive relations, said a senior lawmaker of Vietnam.